Vote forPalm Cove, QLDTop Regional Destinations Which are Australia's must-visit destinations? You help us decide. Those wanting all the warm-weather benefits of a Queensland reef and rainforest environment with even less noise and bustle than the big two accommodation hotspots can instead set their eyes to this fantastic spot nestled at the halfway point between Cairns and Port Douglas – the idyllic Palm Cove. Roughly 25 – 30 minutes to the north of Cairns and slightly further from Port Douglas, Palm Cove strikes a nice balance between seclusion from busier tourist hubs while still allowing easy access to all the activities and Great Barrier Reef trips which serve as the main drawcard for visitors to the region. Palm Cove mixes together high-end accommodation with lovely stretches of beach, with its main hub on Williams Esplanade lined with palm trees that convey an additional sense of being in the tropics. This is a town slash village where taking things slow, walking barefoot and admiring the ocean views reigns king; its main focal point is its long, extended beach that's within a short walk of the majority of accommodation and which makes for an enchanting spot to stroll along and take in one of the area's renowned beautiful sunrises of a morning. Views from the shoreline reach out to the adjacent Double Island and its surrounding coral sea, and the majority of dining options in its main street overlook this panorama for a truly romantic food-and-scenery spectacle. Palm Cove also has a well-deserved reputation as a hotspot for wellness, hair and massage treatments, with many of its resorts and other accommodation offering bundled pampering packages in addition to luxurious poolside amenities. You'll have multiple options for drifting away under the spell of a quality beauty treatment, relaxing in a bubbling spa or simply lazing poolside at pretty much all of the multi-starred accommodation on offer. The village isn't strictly high-end accommodation, however; there's also a caravan park at its' far end, as well as options for backpackers on non-romantic occasions. A number of charming specialty shops along with an elegant and tasteful nightlife scene that's more of a concentration on the cocktails/conversation/wine blend than raging music round out the Palm Cove experience; this is not a Cairns that can trend towards upbeat and even a little wild at times. There's a reason this is one of Queensland's most popular spots for destination weddings – the small village atmosphere makes for a good choice for those looking to avoid large tour groups, and everything is within walking distance and nearly universally tranquil. Looking to pay a visit to Port Lincoln but not sure what to do? Here are some of the most essential experiences. What's new in Palm Cove in 2017/2018? A proposed 70km shared mountain biking and hiking trail connecting Palm Cove with Port Douglas is underway which will showcase views of reef, rainforest and more. 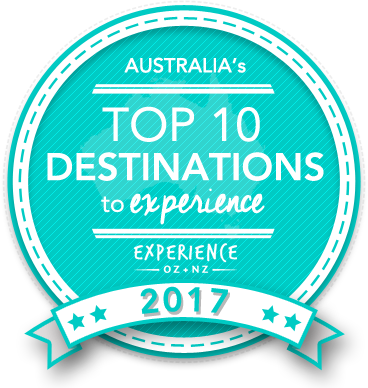 Town was named one of Australia's Most Romantic Destinations during Experience Oz's Valentine's Day content feature. Need more info on Palm Cove? Check out our detailed travel features on this top spot below. Palm Cove is surrounded by some of the country's best scenery and the best attractions. See the top 5 things to do here. Is Palm Cove Australia's Top Regional Destination to Experience for 2017? Vote now for the chance to WIN an epic trip to one of Australia's top destinations!